The remarkable story of the discovery, demise, and preservation of the Franklin Tree (Franklinian altamaha) from its origins in Georgia’s Altamaha River Wilderness, to its unintended salvation in captivity at the historic Bartram’s Garden of Philadelphia, and its future through modern science. When American naturalists John and William Bartram found the Franklin Tree in 1767, they unknowingly caused both its destruction and salvation in the attention they brought to the species through their writings and specimens. What began as a population of about three acres in 1767 diminished to merely six plants in 1805, and extinction by 1810. But the Franklinia’s story did not end there. Today, descendants of the Bartrams’ Franklinia specimens live in arboretums and bontanical gardens across the world but not along the Altamaha River in Georgia. Thanks to the work of dedicated botanists and conservationists at the University of Georgia and the Nature Conservancy that may soon change. After 200 years of extinction, Franklinia may soon return to its home in the wild. In November of 2019, two young men (Tripp and Zach) will set forth on an 18-month circumnavigation of the world along the equator in their sailboat in order to better understand the relationship between coastal and island communities and their surrounding waters, and how their lives will be impacted by climate change and the changing of the seas. The identity of communities are often tied to the world around the community. Traditions of boat building, maritime culture, food, music, storytelling, language, and social structures all come from the community’s unique connection to the sea and to the land. When we look at the idea of "identity tied to place", that reveals a dynamic conflict where that "place" is evolving and so identity, too, must evolve or else risk becoming disconnected with the present. In the case of some of these people, the essential elements that define their "place", and thus their identity, are disappearing with diminishing coral reefs, depleted fish populations, stronger storms, rising seas and disappearing lands, and an overall threat of displacement. The universality of this story is that everyone understands the idea of an individual or a community being forced to undergo a change in identity or how they define themselves due to changing contexts around them. It is simply the means and magnitude of that change that differentiates the experiences of the individual. Tripp and Zach seek to better understand how these very real factors are affecting the average person on the ground, and also how these communities are prepared to face these challenges. How conservative or dramatic are the evolutions these communities prepared undergo for their futures? And, most importantly, how real is the perceived threat to these communities? Tripp works as an educator in Charleston, South Carolina for the Lowcountry Maritime Society where he studies and teaches the traditional wooden boat building techniques of the region’s African-American fishing fleet to local school children. Zach is a marine biologist and coastal conservation specialist for the South Carolina Department of Natural Resources. The film will capture the transformation Tripp and Zach (main characters) undergo in understanding the ramifications of climate change on a personal level from their interactions with the locals we build relationships with along the journey (subcharacters). The subplot of the story will be the dynamic they have in the journey and how their interpersonal relationship evolves. This way, it really feels like Bourdain and Chasing Coral where the journey and the experience of making the film are narrative devices to tell the story of what a diverse group of subcharacters are undergoing and how each person is dealing with these common challenges in their own way. They are both undergoing your own evolution and change in identity as are the people they meet along the road. The director hopes that audiences will relate to the transformation Tripp and Zach undergo as their worldview or understanding of the things affecting the people they meet transforms as the two men experience this colossal journey. A feature-length documentary about the challenges facing America’s other reefs. I’d like to tell you about a very special creature, one beloved by much of the world but often taken for granted. Though no larger than your hand, these creatures cluster into reefs often stretching for miles that serve as the nurseries for the sea, providing habitat for migratory birds, blue crab, shrimp, and small fish. Their reefs form strong natural barriers to storm waves and sea level rise while forming the foundation for vast fields of grass. They purify their waterways, with a healthy reef filtering as much as 24 million gallons of water per day. And they have formed the basis for coastal food culture and coastal economies across most of the world for centuries. They officially go by many names like Ostrea lurida, Crassostrea virginica, and Crasstrea gigas, but are more affectionately known as OYSTERS. Like coral, oysters form large contiguous reefs along coastal shorelines, providing countless benefits to the ecosystems and to the coastal economies that surround them. They are food, habitat, erosion control, and incredible purifiers of the waters around them, with a single oyster filtering fifty gallons of water a day. But oysters are facing a major problem, since the 19th century, heightened levels of industrial pollution and over-harvesting have decimated oyster reefs. Roughly 85% of the world’s reefs are gone with three quarters of the remaining historical reefs here in North America. With efforts to restore and reintroduce reefs, the oysters are making a gradual come back in places where they were extinct a decade ago, but new threats of micro-plastics and micro-fibers, pollution, human activity, and sea level rise may endanger their future. 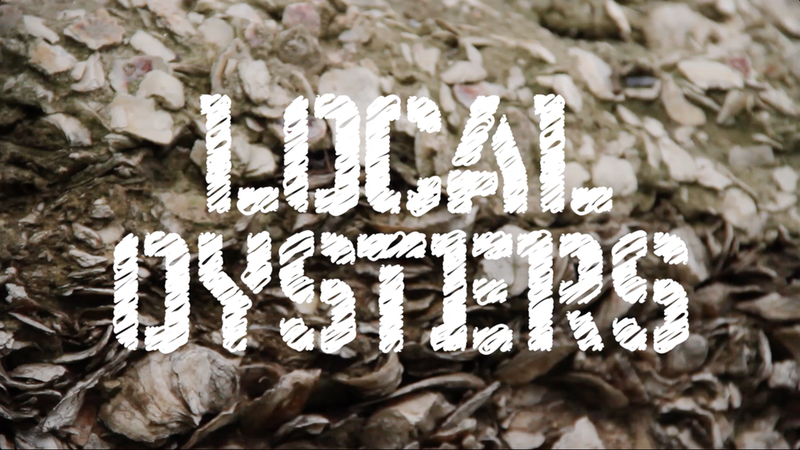 This is a story about oyster reefs, the people and ecosystems that rely on them, and the scientists, oystermen, and chefs working to protect them while building a sustainable future. A narrative short film based on a Kate Chopin short story set in the 1900s rural South. MISS AURLIE, a mid-50s woman living alone on her rural Georgia farm, finds her life upended when her neighbor, ODILE, leaves her pack of young children at Aurlie’s doorstep. What was once a peaceful and independent solitude with her dog, PONTO, now becomes a noisy and frantic struggle to adapt to the constant individual eccentricities of her new wards.